"In March 2012 Yanina Shevchenko travelled from one end of Russia to the other and back again on the trans-siberian railway in a bid to discover for herself the true nature of her homeland. Yanina was motivated to unearth what 'Russianess' meant and whether it existed as a single entity from one end of the motherland to the other. 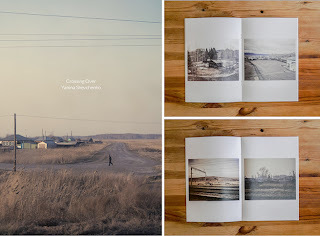 What she encountered and discovered about Russia, and thus about herself, is documented in her book of writings and photography 'Crossing Over'."